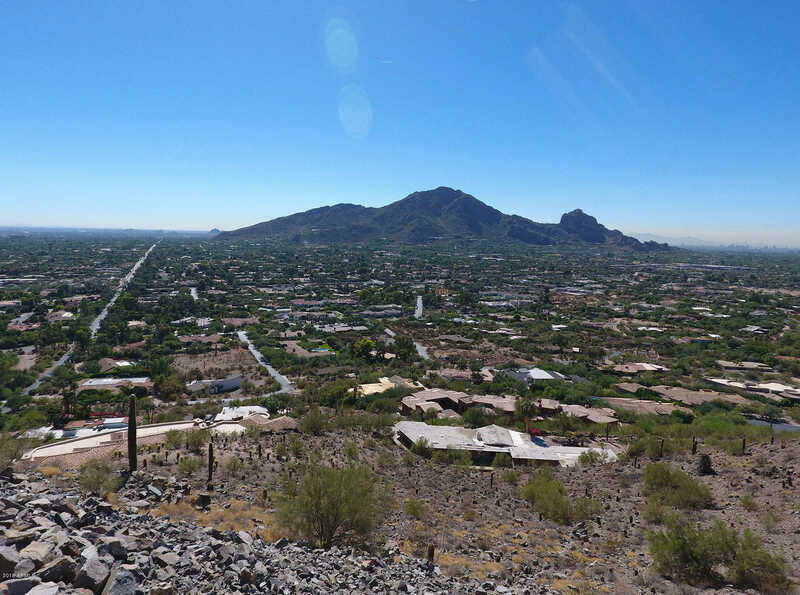 Come see this sprawling 5.77 acre view lot perched atop Mummy Mountain with 360 degree panoramic views of the Valley, including the McDowell Mountains and Four Peaks to the northeast, Camelback Mountain to the south, and views of the downtown Phoenix skyline to the west. This privately gated lot is the ideal mountain-site location to build your dream, desert oasis home, complete with total privacy and unmatched views overlooking Paradise Valley. This is the highest lot on the southeast side of Mummy Mountain. A true king of themountain lot!